You may remember a while ago we posted about Dr. Murali Vedula’s water walk for the UN World Water Day. These events are a great way to raise awareness about the water shortages faced by millions of people every day, and they’re happening all over the place. A quick google search of “Water Walk” results in pages of results showing the different ways communities are banding together to address the issue of global water scarcity. Most of these walks are fairly casual 2-5 mile walks, but every once in a while an individual goes above and beyond to raise awareness for water. One such individual is Waukesha native Andy Stenz. 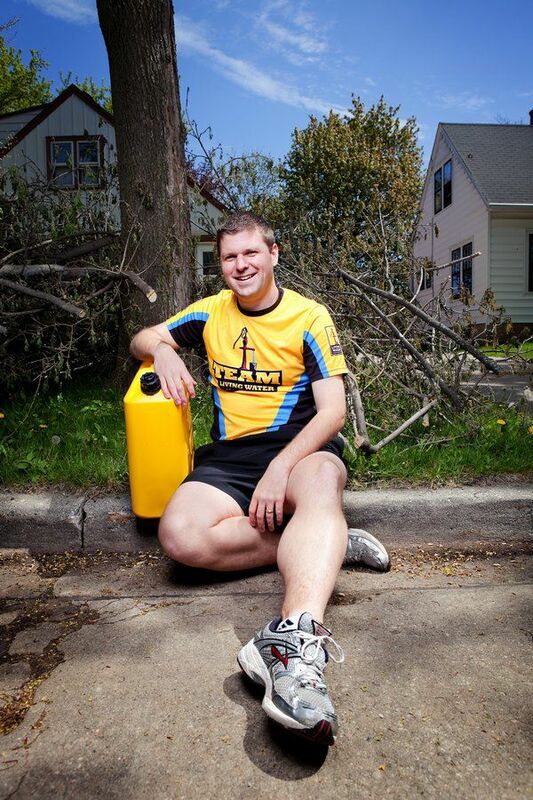 Andy is walking 225 miles from the Mississippi River to Lake Michigan to raise awareness and funding for Living Water International (LWI), a Christian 501(c)3 non-profit that implements participatory, community-based water solutions in developing countries. LWI works with nationals to drill wells, teach hygiene, and deal with other issues related to clean water. Andy’s goal is to raise $50,000, which will provide a year of clean water for 2500 families. Make sure to follow Andy on Facebook and Twitter as well as he completes his walk across Wisconsin! This entry was posted in In the News, Uncategorized and tagged Andy Stenz, Living Water International, Walk for Clean Water, Water Walk. Bookmark the permalink. Thanks for the post and support Ryan! I truly appreciate it!